New brewpubs and bars opening all the time now, it is important to cash in on the important two months leading up to Christmas. 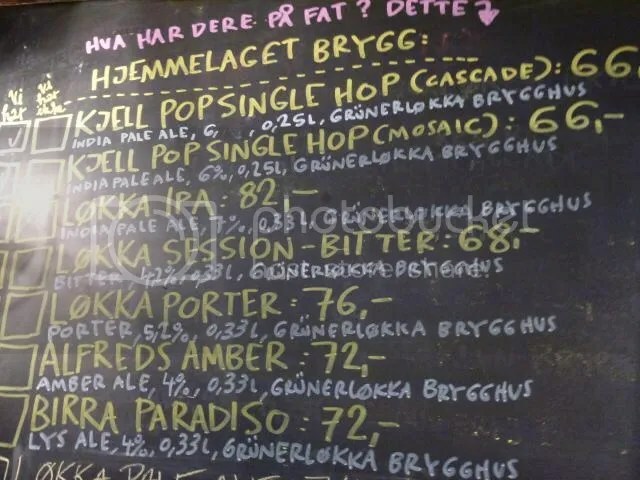 Grünerløkka Brygghus has been around for several years as a food pub, with a very decent range of Norwegian micros and quality imports. They have finally sorted things out with neighbours, planning authorities and what have you, meaning that it is now a brewery as well, though the actual brewing takes place a stone’s throw away. Eight of their own brews on tap yesterday, very respectable most of them. A bit pricey. 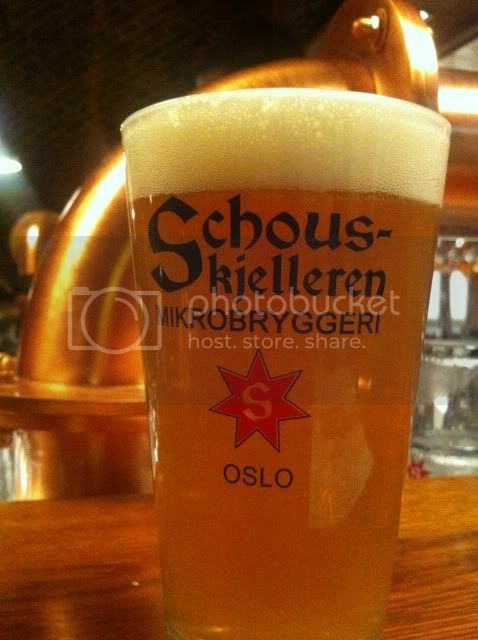 Schouskjelleren Mikrobryggeri is still going strong, by far the best brewpub in town. As they are located in a vaulted cellar, the nice weather this summer has been rather quiet. They will celebrate their third birthday on 1 October with a one-off special beer. I am happy to see that the new brewer keeps up the same quality as we are used to. Expect 5-8 of their own beers on tap plus high-class imports. Crowbar has an impressive list of beers as well, usually going for interpretations of classic beer styles. High standard, and I believe the place is very popular. Go in the afternoon if you want to enjoy your beer quietly. Lots of interesting imports there as well. Pricey. Amundsen Bryggeri og Spiseri has a sister establishment, Nydalen Bryggeri og Spiseri. They will be brewing both under the Amundsen name and some of their own, I believe. Makes more sense to brew on the (relative) outskirts of town than using floor space for this in downtown Oslo, if you ask me. 3-4 of their own beers on tap. a good range of Norwegian guest beers, extensive bottle list. If you want to make a crawl, you can start at Nydalen, then walk along the river to Grünerløkka, about an hour in a modest tempo. The rest of them are then within ten minutes walk of each other. There is a new grocery store in Storgaten with Russian and Eastern European food. With our licensing laws, there are no regular beers, but they carry two varieties of kvass, which is always a good thing. The supermarket Centra Colosseum used to have the broadest range of beer in Oslo. it is rebranded as Ultra, and has no beer selection to speak of. Try Meny Oslo City for the best range of beers below 4.7%ABV. Nøgne Ø Wet Hop is the beer to try right now, made with fresh hops within a few days of harvesting. On tap at Cafe Sara and Crowbar. Many summers on the shores of the Mediterranean have taught me that there is plenty of pale lager, and the rest should be counted as a bonus. Barcelona was an exception. 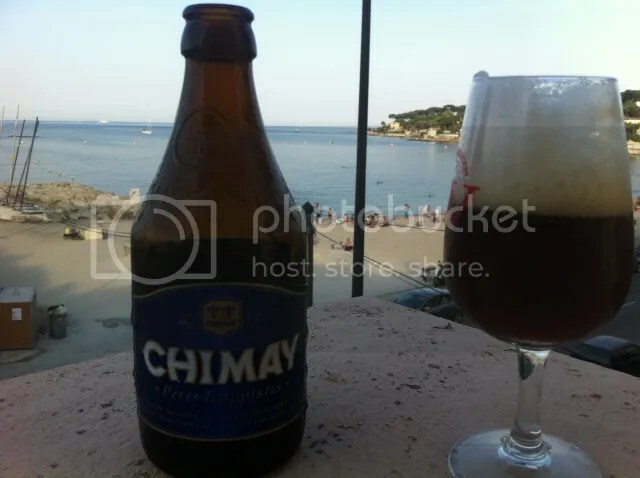 So I arrived in Antibes without any significant hope of beery experiences. I had one excursion planned, but I’ll come back to that in a separate post. A little background first. Antibes is on the French Riviera, between Cannes and Nice. A postcard pretty town, conveniently close to Nice airport. IT has one of the biggest yacht harbours in the area, giving a distinct upper class feel to some of the shops and establishments. At the same time, cheap flights from the Nordic countries mean a steady supply of more laid back visitors. The beaches are not too crowded, and they tend to be open to the general public without outrageous fees for sun chairs and parasols. 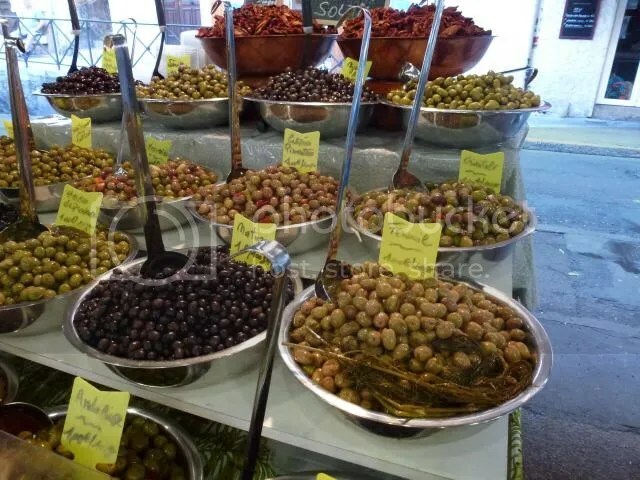 There is a great market with local food every morning, there are plenty of mid-price restaurants with good food. Even the snacks sold from kiosks at the beach are freshly cooked. You can choose between five types of cheese in your sandwich, and the french fries are made from potatoes peeled, cut and fried at the spot. But all is not bad. I don’t know the organisational setup, but there seems to be a distribution deal where Kronenbourg allows a few Belgians into their fridges. And this does not mean just any Belgians. In numerous supermarkets, including the kiosk near our hotel, you find Duvel and blue Chimay ready available. I can live with that for a week.